What Does It Feel Like Having Ocd? People often say that OCD turns your mind into a battleground, leaving you constantly fending off thoughts and urges which others may call irrational or insignificant, but which feel frighteningly serious and real to you. OCD thoughts and behaviours can occupy all of your time, exhausting your mind and body, and making you feel like you’re losing your grip on reality. OCD can be accompanied by high anxiety where thoughts run in and out of your head without making any sense. You may feel hopeless and embarrassed to talk about your feelings because you’re scared that people won’t understand what you’re going through. 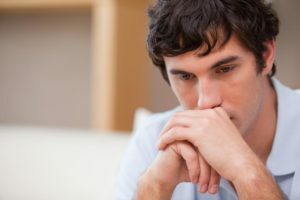 OCD thoughts can occupy most of your headspace making it hard to focus on your daily activities and your personal relationships, or to take any pleasure from life. Your obsessive thoughts and compulsive behaviors are the result of intense anxiety, and your anxiety is maintained and regulated through the OCD. This is why one main focus in therapy is to reduce your anxiety, and eventually eliminate it. Therapy will help you recognise the coping mechanisms that you use to deal with intense emotions (one of them being anxiety) and find different coping skills to help you process emotions in a healthier and more efficient way. In more severe OCD, our psychiatrist can provide a medical assessment, and where necessary, prescribe medication to support a more balanced and stable mind. Our nutrition team can help you rebalance your eating, lifestyle and sleep patterns, which can calm your physiology, and thereby reduce the physical symptoms of anxiety. Make a list of your anxious/obsessive thoughts, and explore each one asking if your fear is rational or realistic. Delay performing your compulsive action after the exposure to an obsessive thought or fear. By slowly extending the delay, you can ultimately resist the compulsion completely. Talk to someone you feel close to about your OCD. Sharing your obsessive thoughts will make them seem less powerful. Join a support group so you can learn from others, feel less isolated and increase your self-confidence. Look after yourself and improve your mood. Make sure you get enough sleep, do some regular exercise and eat a healthy and balanced diet. Explore relaxation techniques, practice slow and deep breathing, or join a class like yoga or pilates.